Stay at our Chincoteague Island Bed and Breakfast during the Daffodil Festival, April 14, 15. If daffodils have inspired a poem that has endured for hundreds of years, it’s because their beauty and wonderfully playful spirit is timeless. William Wordsworth often revisited the image of dancing daffodils that once he saw, just as those of us who have read his poem revisit them in our own minds’ eye. Daffodils are the herald of spring. When we see them pushing forth from the ground, we know that warmer days will soon be upon us. Daffodils mean life; they mean tilled farmland and growing food. They mean long summer evenings and the romance that accompanies them. All that, in one frilly, yellow flower. 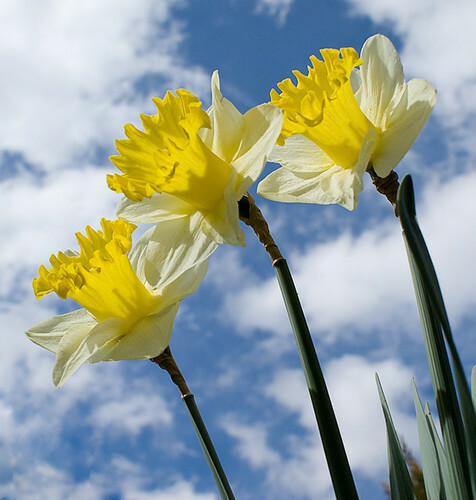 The 2012 Chincoteague Daffodil Festival takes place April 14 and 15. Accompanying the daffodils will be Chinctoeague’s annual Flower, Home & Garden Show and Annual Spring Craft Show. It is a very festive occasion and a wonderful time to visit the island. We invite you to stay at The Island Manor House Chincoteague Bed and Breakfast while you’re here.